A nature touch with this nature canvas print ! Free 48/72h delivery in metropolitan France for this bamboo print on canvas. The dimensions of this zen art frame are 25 x 45 cm et 25 x 65 cm. 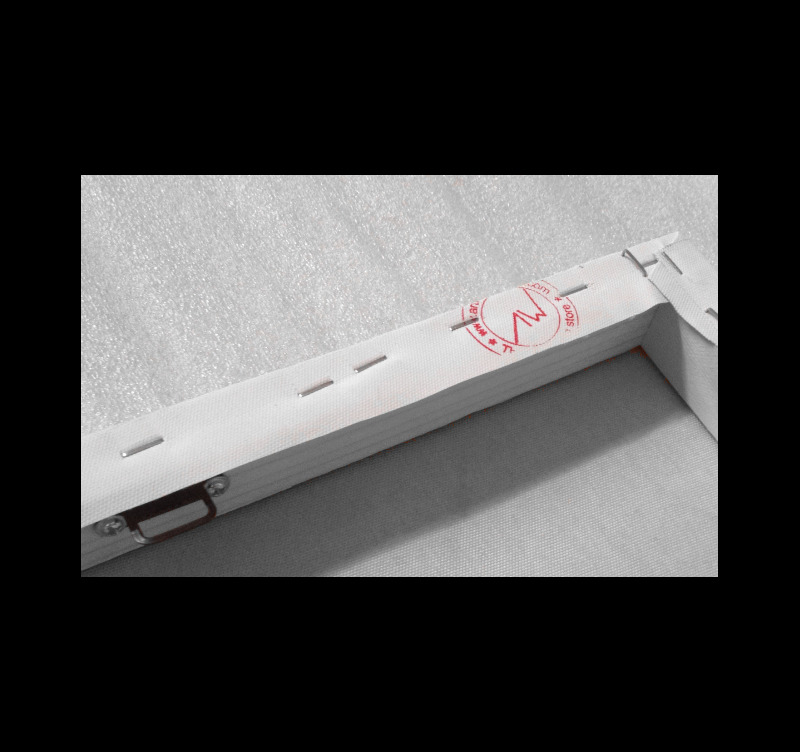 Each design frame is waterproof and treated anti-UV. 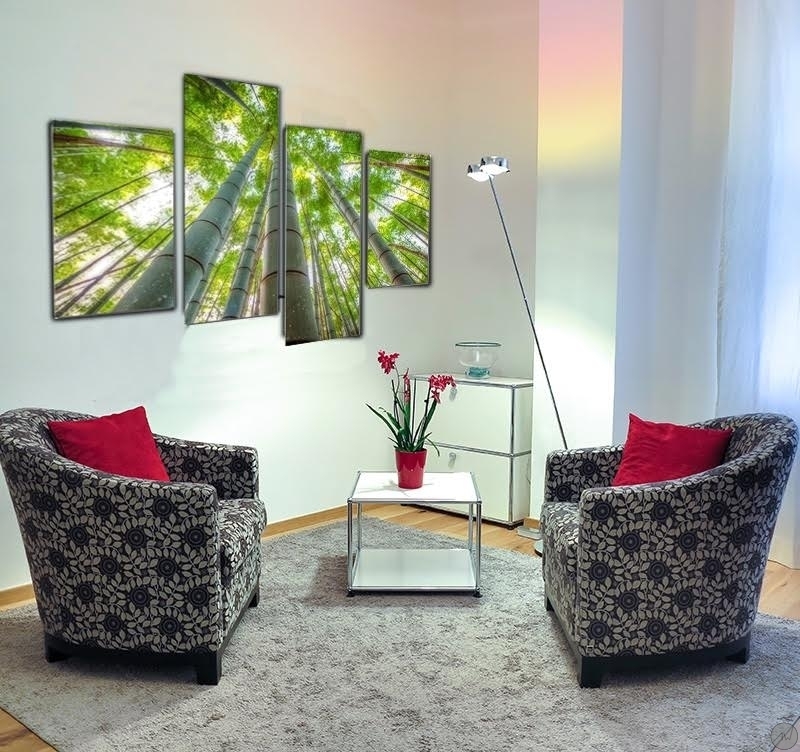 Multiple frames on a design canvas print for your interior ! 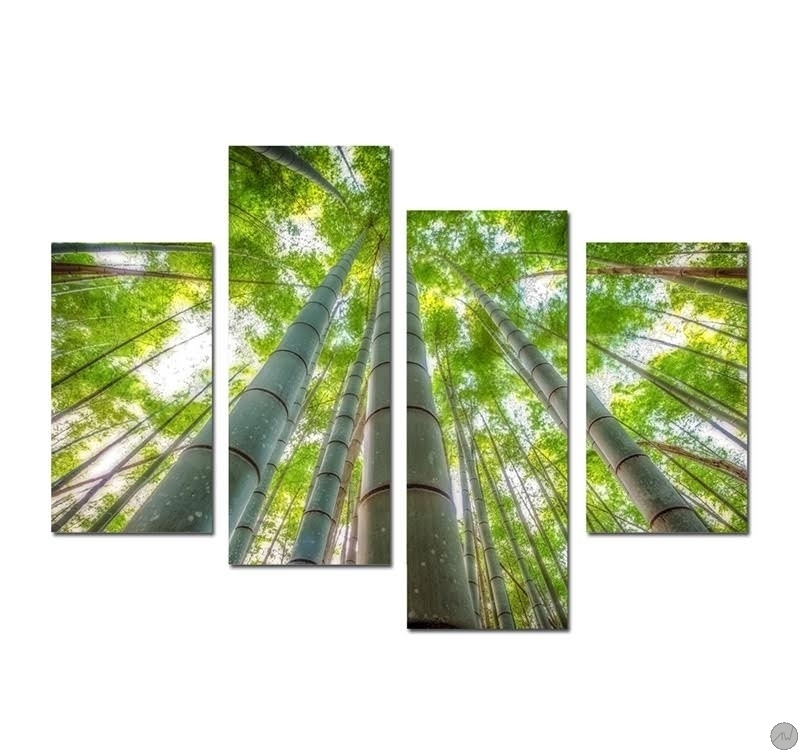 This nature canvas shows you bamboos divided into four frames to give you a modern art an creates a zen atmosphere in your house. Refresh you home with this trendy art frame and his green color ! All our low-price deco pictures are printed on a cotton canvass and stretched on a Canadian pinewood frame so the picture is ready-to-hang. The photos are delivered wrapped and with cardboard corners. All the contemporary canvasses are anti-UV and anti-damp treated to ensure a better finish and a long-lasting quality.